Sherwin’s, Sophie’s and Annie’s birthdays were long overdue and due to the 101 reasons that kept everyone busy over the past month, we didn’t get a chance to celebrate during the school term. And since school’s finally out, I had tasked myself with finding an appropriate place for a casual birthday lunch. You know for large group gatherings, an appropriate lunch venue requires affordability, accessibility and of course, a minimum standard of quality, and finding such an ideal lunch spot is indeed a tall task. 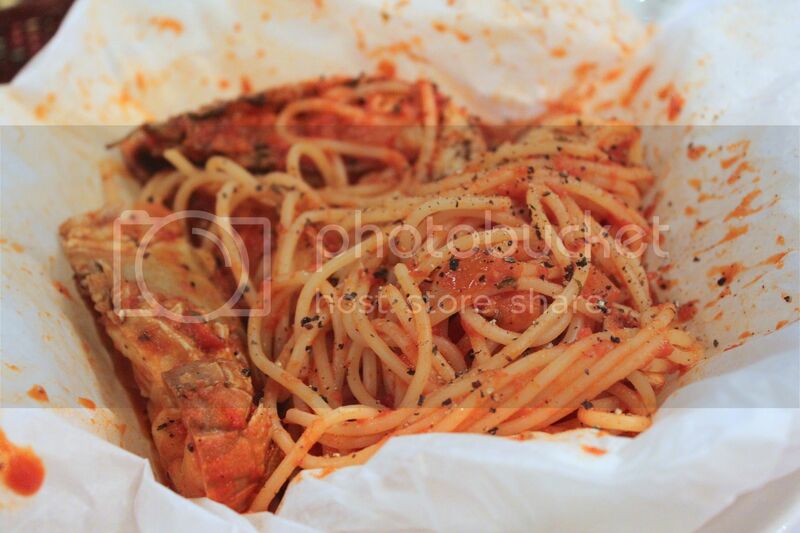 Faced with such a situation, I humbly suggested Pasta Brava, a restaurant on my to-go list which I had yet to try. 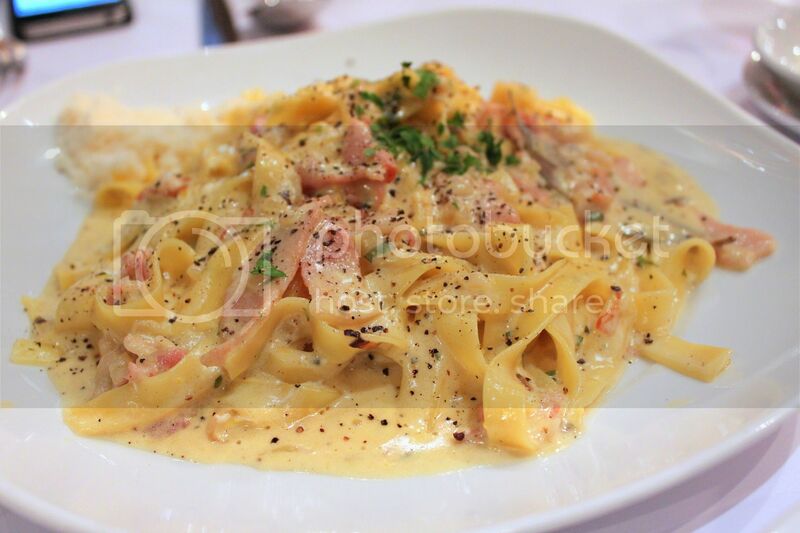 Located within walking distance from Tanjong Pagar Mrt, Pasta Brava serves hearty authentic Italian fare at very very reasonable prices about $25ish to $35ish a person for a generously portioned main. It has cemented its position and credibility in the Singapore food scene after garnering numerous accolades and awards over the past decade which are conspicuously framed up on the wall of the reception area. The pastas here are pretty heavy so while I’m an advocate of having a complete meal consisting appetizer, main and dessert, you you might want to consider skipping the appetizers unless you are planning on sharing the mains. And instead of having desserts here, you can also consider strolling around the Ann Siang or Duxton area to try the various highly acclaimed patisseries such as k ki, Bonheur Patisserie and Flor Patisserie. In descending order starting from my favourite pasta, I enjoyed the Spaghetti Della Pescatrice, “Spaghetti with Seafood in Squid Ink Sauce” ($23++) the most. 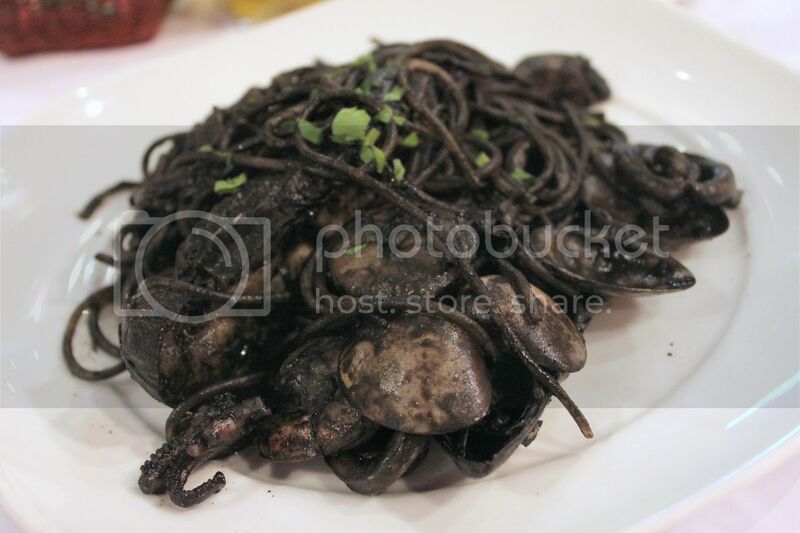 Some of my friends found the briny squid ink sauce a little too salty but I thought it was awesome with the subtle bittersweet clam juices infused into the pasta. I have a particular fondness of clams. I think it’s because of the fond memories I have about my trip to Gold Coast when I was younger where I picked up live clams off the beach and boiled them back in the hotel to eat. 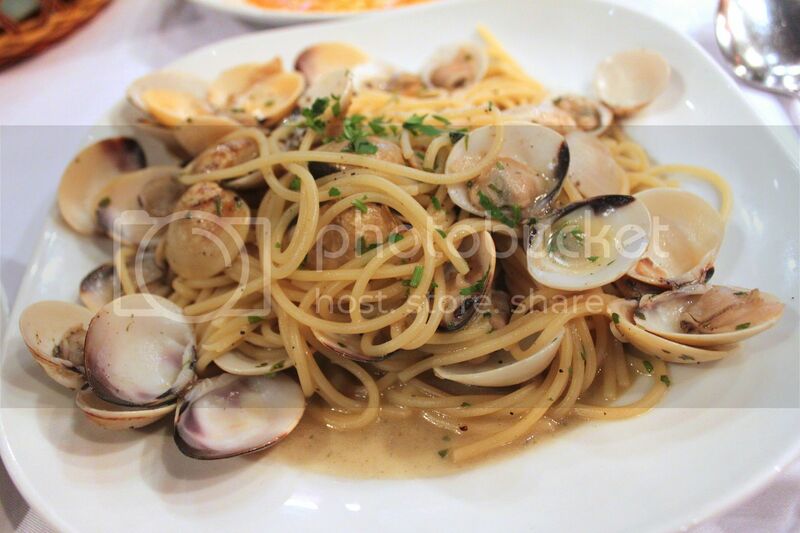 Subjectivity aside, there was consensus that the Spaghetti Alle Vongole In Bianco, “Spaghetti with Fresh Clams, Extra Virgin Olive Oil, White Wine and Parsley” ($19++) was one of the favourites of the meal. Spaghetti Anacapri Al Cartoccio, “Spaghetti with Crayfish, Garlic, Herbs & Tomato Sauce served in Parchment Paper” ($23++). I’m not sure if it’s because of the effect of sealing it in parchment paper that stops the white wine from vapourizing but I detected a stronger than usual wine taste which I quite enjoyed (then again, no description of wine is mentioned for this dish so I might just have imagined things). Agnolotti Farciti Al Salmone, “Round-shaped Pasta filled with Fresh Salmon, served with Tomato and Cream Sauce” ($22.50++). Agnolotti is a type of ravioli, and the difference in naming convention arises mainly from the initial place of origin, with Agnolotti originating from Northern Italy and Ravioli from the Coastal South. 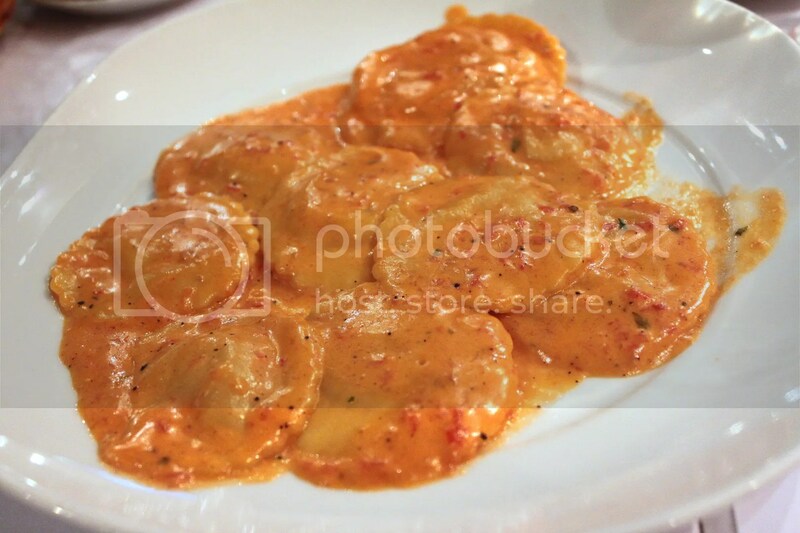 The difference in locale also results in a difference in terms of stuffing used, where fish, vegetables and cheese was commonly used for Ravioli while meat was used as a stuffing for Agnolotti. The Fettuccine Alla Carbonara, “Fettuccine with Bacon, Onion, Egg Yolk, White Wine & Cream Sauce” ($20++) is decent but too heavy for my liking. The pasta was also a little on the soft side. 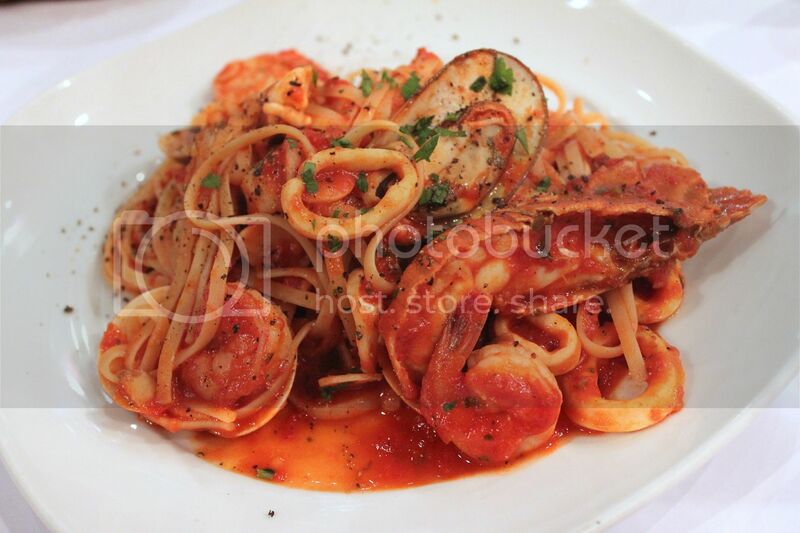 While the Linguini Regina Del Mare, “Linguini with Clams, Prawns, Scallops, Squid, Crayfish, Garlic & Tomato Sauce” ($23++) looks like the Spaghetti Cartoccio (above), the tomato sauce comes across as less flavourful. There’s no end to good food around the Tanjong Pagar and Outram area but Pasta Brava has left a deep enough impression to warrant future revisits. 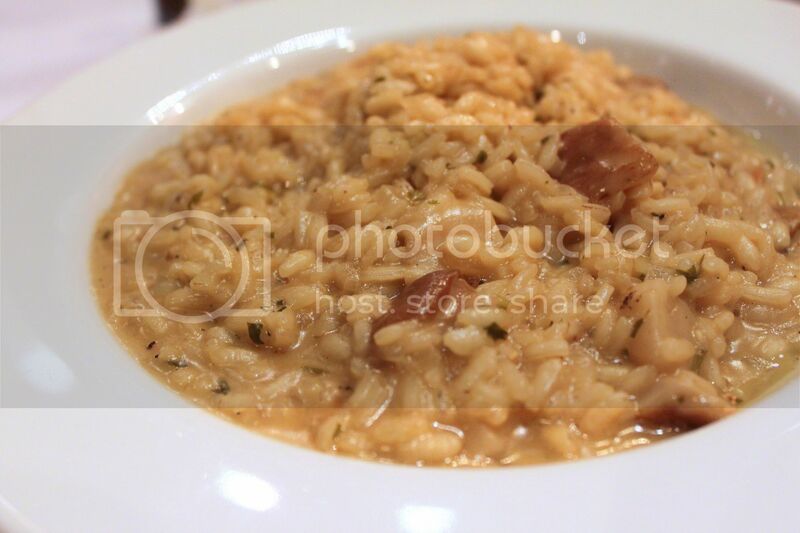 Categories : All YumYums in my TumTum, Cuisine Type YumYums, Italian, Location of YumYum, Tanjong Pagar / Outram, Yummy! Ya I agree… There are plenty of choices and good food area this area. I’ve came across a coffeshop stall that serves restaurant standard pasta at affordable prices at blk 7 Everton park coffeeshop stall name is Sebastian. can give it a try. thanks for your recommendation! will go check it out when I’m around the area!